​Po-Chih Huang’s diverse artistic practice revolves around the circumstances and history of his family which enable him to involve in issues like agriculture, manufacturing, production, consumption, etc. 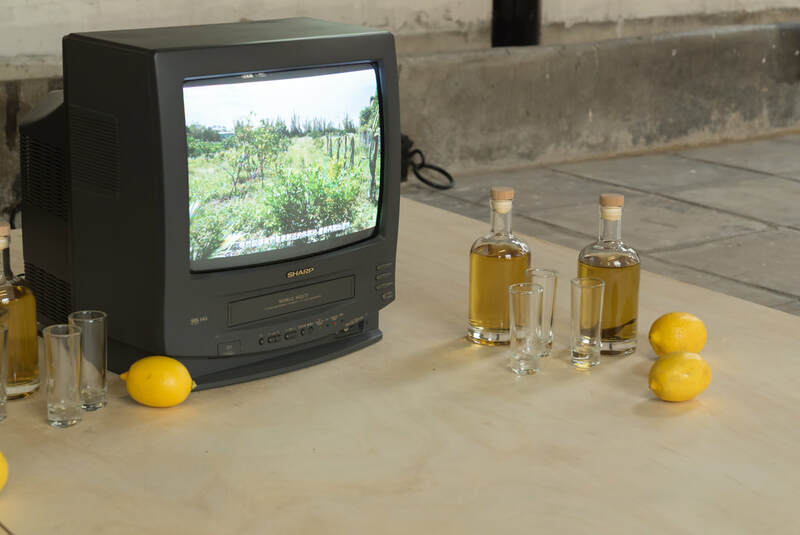 Since 2013, exhibitions of his continuous art project “Five Hundred Lemon Trees” have been transformed to a crowd-funding platform allowing the appropriation of artistic resources for developing an agricultural brand, activating fallow farmland, and growing lemon trees for lemon liquor. 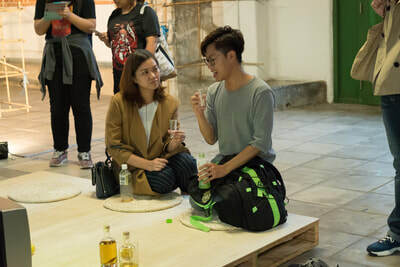 On the other hand, the project has connected his family members, local farmers and consumers to make a new social relationship possible. In 2012, he published his first collection of essays Blue Skin—All About My Mother《藍色皮膚：老媽的故事》, the story about his mother. In a way, such a brief account of personal history can somehow reflect Taiwan’s agriculture economic reform and social change over the past fifty years, which is essentially, a micro-level of observing his own family history and society as a whole in Taiwan. Let your experience be your nutrients. Let it fully dissolve under the cool shade of 500 lemon trees. 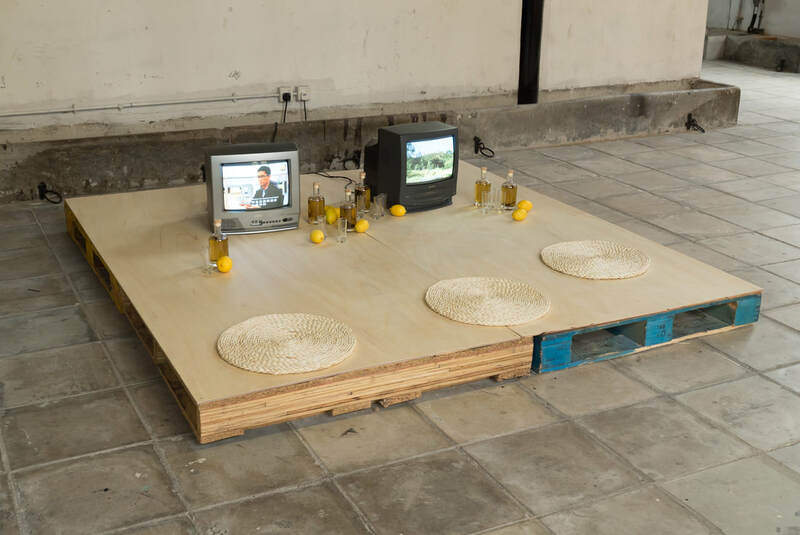 In 2013, the exhibition of Five Hundred Lemon Trees was turned into a fundraising platform, utilizing the resources of the art world to develop an agricultural brand. We successfully recruited 500 subscribers, each of whom pre-purchased a green wine label. The funding went to reinvigorate three lots of abandoned farmland in Hsinchu and Taoyuan. Five hundred lemon trees were planted there to make limoncello. The project also drew family members, local farmers and consumers into the narrative, producing a new set of community relationships, which in turn became an indispensable part of the evolution of the work. 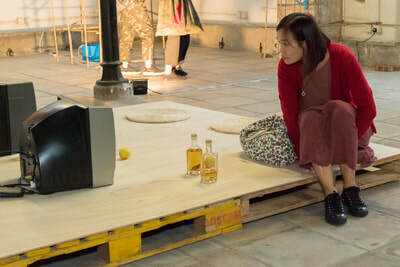 This art action has opened up an investigation into life, and it made me focus on the ordinary individuals involved in the project. An interlocking, feedbacking, symbiotic system emerged, moving from planting to research to writing to infusing the liqueur to blending it. It is a brand. It is art. It is wine. It is an organism that changes flexibly and constantly along with life.